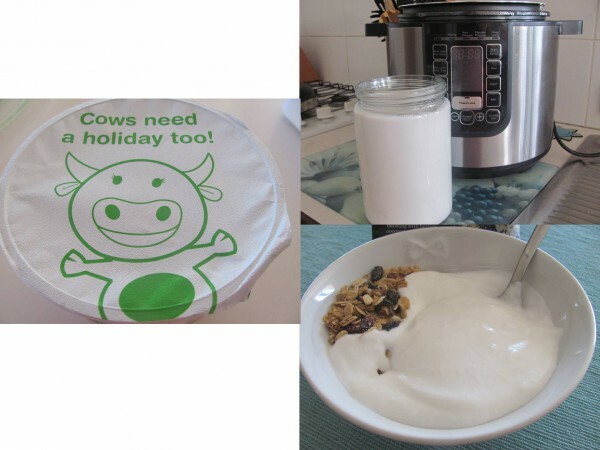 Home | MoM answers | How do you make coconut yoghurt? How do you make coconut yoghurt? If you need a starter where do you get one from? I have an old easi-yo container so can I use that? Hi! 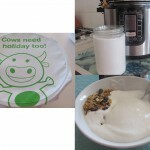 I forgot to tell you that I made the coconut yogurt using the All-in-One Cooker. It’s fantastic! I used 200 ml coconut yogurt (I found it in Woolies) 600 ml coconut milk and 400 ml coconut cream. It turned out great! But the coconut yogurt I used as a starter is quite expensive, so I’m now using 200 ml cow natural yogurt instead of the coconut yogurt. Yes for sure! I know that you can buy a starter in the supermarkets! yes and if you so make this, it would be great to see you post a recipe! seems very interesting to me! I presume you can use coconut milk to make it along with some plain yogurt start. You might have to experiment a bit and see what works. The 5am brand makes coconut yoghurt. Not sure how to make your own. Oh! I’d love to try to make coconut yogurt too, in the All-in-One Cooker. But I can’t find coconut yogurt to use as starter. They don’t have it in Coles, or at least in the one where I go. these two comments have great idea. i hope your yoghurt making goes well! You can buy a starter in the supermarkets, there is Easyo and Hansens, I prefer the latter. I think you may be able to buy a starter with coconut, but if not you could add some coconut milk or cream to the yoghurt. Also you can use commercial yoghurt as a starter, about 2 tablespoons per litre of milk.